DevStat has participated in the organization of the training activity coordinated by The United Nations Economic Commission for Africa, in cooperation with Eurostat, “Training on the 2008 System of National Accounts” in the Islamic Republic of Mauritania from the 21st to 23rd January 2014. 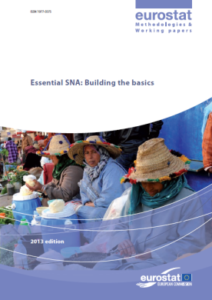 The purpose of the training was to improve participants’ knowledge about the 2008 SNA and its implementation. 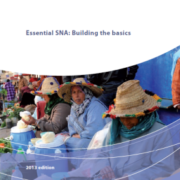 This activity was organized within the framework of the multi-annual project “Essential System of National Accounts (SNA): Methodological support and tools in the context of cooperation” funded by Eurostat. DevStat was granted with this 3-year contract in 2010. José CERVERA, Director of DevStat, run a training course on the statistical information on the business environment, and in particular on the measurement of the administrative burden for Romanian enterprises in Bucharest (10-12 February). The course was part of a technical assistance programme to the Ministry of Economy, Trade and the Business Environment and follows a survey to companies designed by DevStat. It was attended by about 20 participants from the Ministry of Economy, the Ministry and Labour, the National Statistical Institute, the National Commission for Prognosis and the General Secretariat of the Government. DevStat experts have been providing technical asssistance since 2004 to the Romanian institutions since 2004, in particular responsible for the imrpovement of the business environment. The major contribution was the preparation of the “Annual Report on the SME Sector in Romania” for several years between 2004 and 2010.